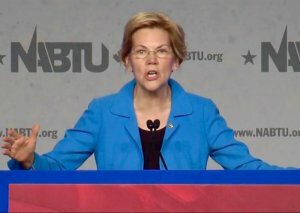 The labor movement is a powerful force in any contest, but in a presidential election the endorsement of a major union could be the determining factor in who becomes our Democratic nominee. 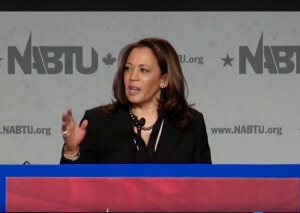 Among a crowded field of presidential hopefuls anxious to distinguish themselves from the pack, union endorsements are a coveted ticket to considerable resources and votes. Traditionally the backbone of organizing in elections, close to 100 national unions, and thousands of state and local affiliates, have the ability to turn out their members and their financial support in mass numbers. It is no surprise, then, that the 2020 contenders, all who espouse labor-friendly policies, are scrambling to court labor. 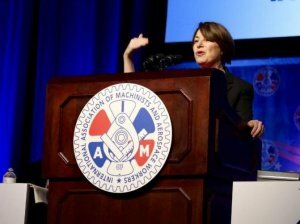 On Monday, Democratic presidential contenders Senators Amy Klobuchar (D-MN) and Bernie Sanders (Ind-VT) addressed 800 union delegates at the IAM Conference in Las Vegas. In August of 2015 IAM became the second national union to endorse Hillary Clinton for the 2016 presidential nomination. In the midst of a declining membership, now at just 10.7% of the workforce, unions have experienced unrelenting attacks on their rights under the Trump administration. The wars waged in the courts have delivered the greatest blow. In July of 2018, the US Supreme Court ruled against unions in Janus v. AFSCME by stripping them of their power to collect dues or fair share fees from members who benefit from their collective bargaining. Unions have been battling similar, GOP-driven "Right-to-Work" legislation in the states; 27 of which have a form of the anti-labor statutes on the books. 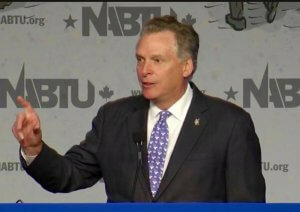 Today, at the NABTU Conference at the Washington Hilton, nine presidential contenders addressed a full house. 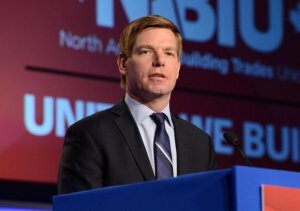 Among the speakers: Senators Michael Bennet (CO), Cory Booker (NJ), Kamala Harris (CA), Amy Klobuchar (MN) and Elizabeth Warren (MA), as well as Congressmen Tim Ryan (OH-13) and Eric Swalwell (CA-15), and former Governors John Hickenlooper (CO) and Terry McAuliffe (VA). 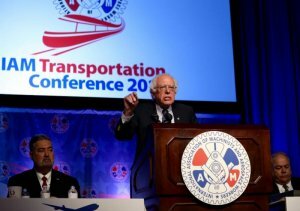 The key unknown is former Vice President and and long-time champion of labor, Joe Biden, who addressed the International Brotherhood of Electrical Workers Conference last week. Biden is rumored to announce April 22nd. In 2016 labor contributed $218 million to federal candidates, political parties, super PACs and outside groups -- a 300% increase in contributions since 1990. In addition to contributing roughly $170 million to federal campaigns, parties and committees, unions played a critical role in turning out the vote for pro-labor candidates in the midterms. While the courtship for their support is well underway, unions are not expected to jump into the race anytime soon. In 2016, early national endorsements of Hillary Clinton caused consternation among some rank and file members who supported Bernie Sanders, or Trump. While 86% of labor's support goes to Democrats, 42% of union households voted for Trump in 2016. 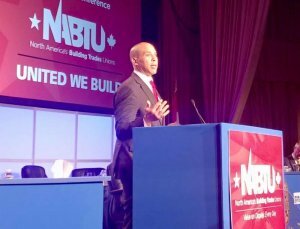 Many of them are blue-collar workers from crucual swing states, and are members of the construction trades unions represented at the NABTU conference.